We’ve having a break in the weather, so why not head off to a museum? Highlighted here are some of the Library’s museum passes that families will enjoy. 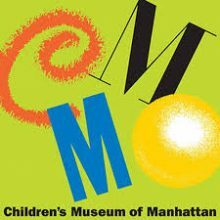 The Children’s Museum of Manhattan, located on West 83 Street, has way too much going on to describe here (Dynamic H2O; Art, Artists & You; Let’s Dance). Best of all, the museum provides plenty of opportunities for hands-on learning and activities. Visit their website for the full lineup. Trains, buses and ferries are universally fascinating, and the New York City Transit Museum has plenty on display. Check out the exhibit Ticket to Ride where you can see and touch different types of collection equipment such as old turnstiles and fare boxes and get a sense the colossal process of fare collection in New York. Norwalk’s Stepping Stones Museum for Children offers plenty of interactive, playful, learning experiences, from Build It, where kids can explore architecture and construction, to the exhibit Express Yourself. Check out all this wonderful institution has to offer. The Library’s Museum Pass program allows White Plains Public Library card holders to visit over 15 institutions for free, or at a discounted rate. It’s a great deal! Visit our Museum Passes page for more information or call us at (914) 422-1480.